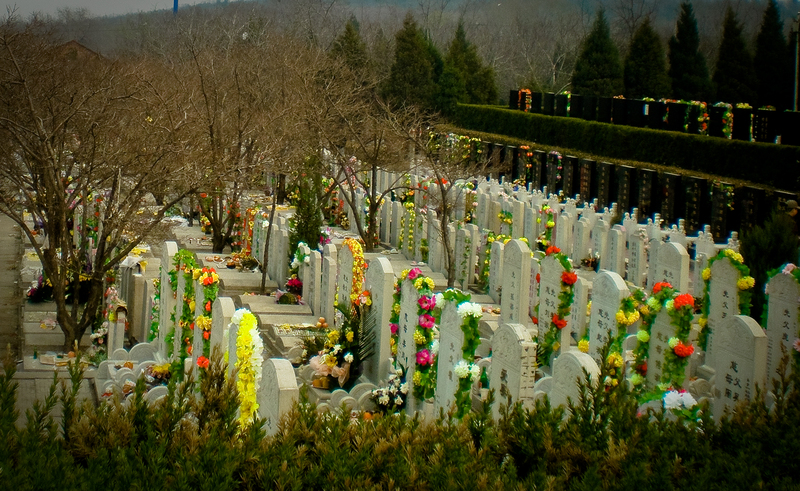 I took these photos a couple of years ago when I visited the huge Babaoshan Cemetary (八宝山革命公墓) in the west of Beijing during the Qingming Festival 清明节(which is also known as the Tomb Sweeping Festival). 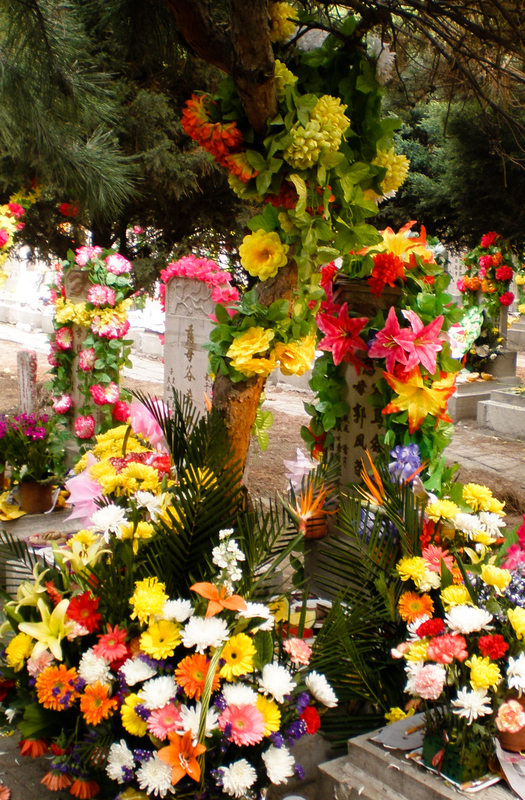 People decorate graves with garlands of flowers during the festival. 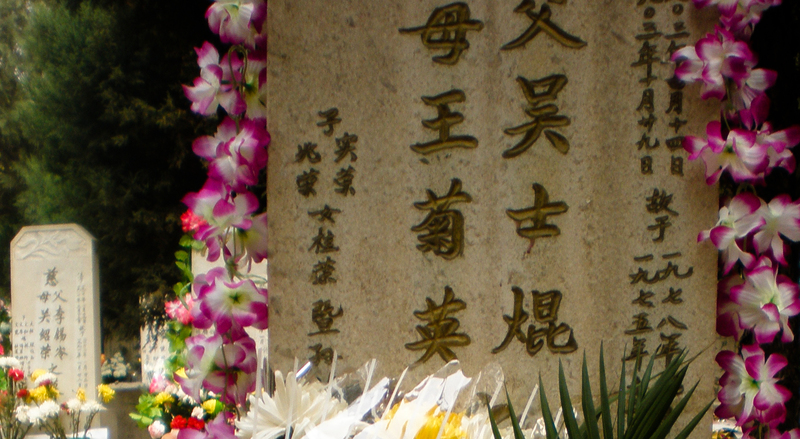 Each year during the Qingming Festival, which falls across April 4th – 6th, people in China, Hong Kong and Taiwan, along with other Chinese communities spread across Asia, honour their decreased relatives by visiting their graves. Typically they sweep the graves, burn incense and leave offerings for their loved ones. People often leave simple offerings of food and flowers. Traditional offerings tend to come in form of simple food, tea, paper money and alcohol, as it is believed that people still need these material items in the afterlife. Recently offerings have taken on the appearance of trappings of modern life, with paper replica iPhones, cars and designer shoes being being left for the dead. Paper gift combo pack being sold during Qingming Festival. 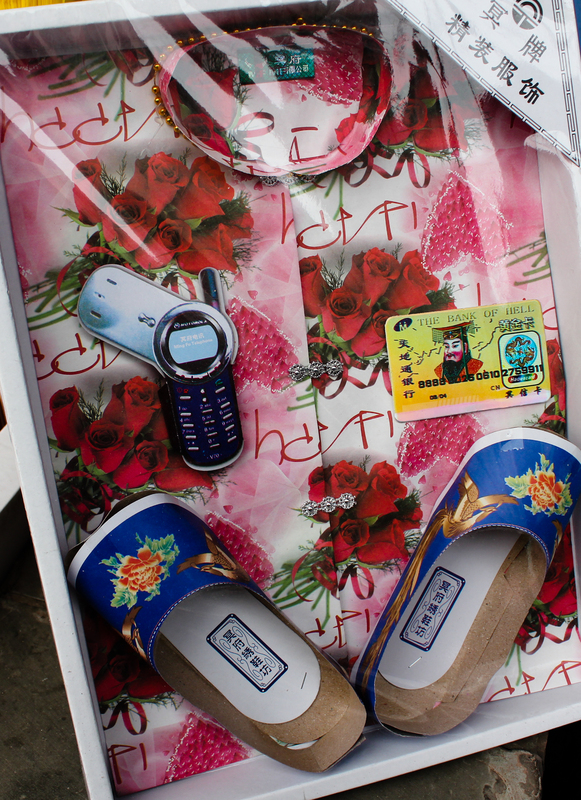 As you can see, replica a mobile phonesand bank card are sold alongside paper shoes and necklaces. It certainly makes the cemetary come alive. In the past the festival use to be a sombre, more depressing affair. Now, however, Qingming Jie is seen as a chance to spend time with loved ones and embrace the coming Spring. 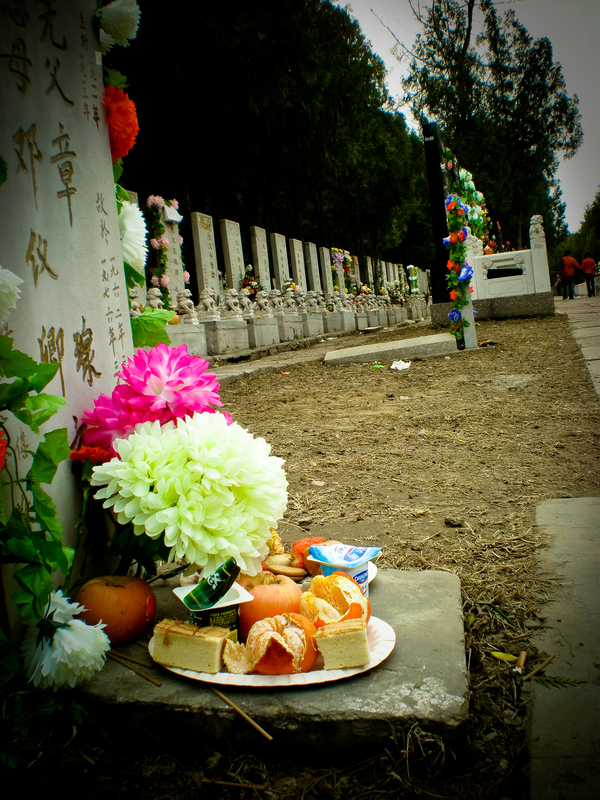 People tend to have a picnic outside after visiting the graves of their ancestors. Here’s a poem by the Tang Dynasty poet Du Mu. It’s so deliciously old school Chinese and really captures the sorrow that was associated with the festival in the past. (My translation is pretty basic and likely misses out on many of the hidden meanings, but I think it gets the gist across). May I ask where I can find a wine shop? 1. Qingming, meaning clear brightness, is a period of the Chinese seasonal calendar that refers to Spring (specifically the period of time between 5th -19th April) and where the Qingming Festival gets its name from. 2. Xinghua or Apricot Blossom Village is a real place in Shanxi province that was, and still is today, famous for the liquor it produces. I now blog over at Maptia – come take a look! ← Spotted – Chinglish on London’s Underground! Thank you so much! Your blog is delightful! I will also be stopping by frequently.